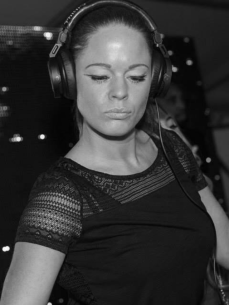 Techno Pippi is an alter ego of Dutch DJ Seré under which she expresses her darker groovy side through techno. She discovered techno in the summer of 2013 through close friends and fell in love with the techno from Napoli and Stockholm, because of the groovy bass-lines, the steely beats and the somewhat darker funky feel. Her tracks are a mix of deep rolling basslines, driving drums and dark atmospheric sounds which result in dark, throbbing compositions. With a masters degree in economics and subsequently working as a marketing- en communications specialist at a Dutch bank for ten years Seré walked a different path then many other DJ’s. Her love for music & performing and her interest in everything electronic clicked in 2011 during a DJ workshop. And in 2012 she started with a DJ/Producer Master Course at Pyntago Producers Academy. Having finally found her calling in music she quit her job at the end of 2012 to live her dream as a fulltime DJ/Producer!